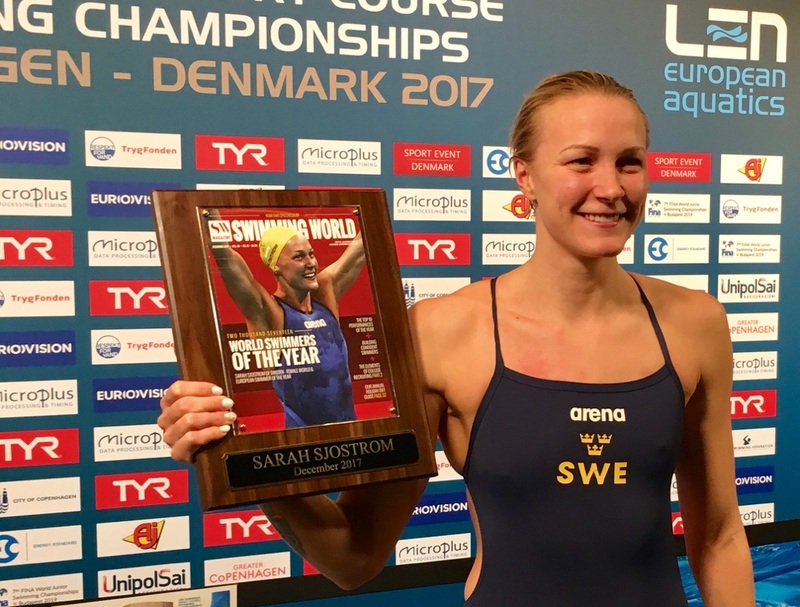 The swedish superstar Sarah Sjöström was earlier this year rewarded as the world swimmer of the year from Swimming World. The magazine definately has very good taste consider the Swim Open organization. At European Shortcourse Championships in Copenhagen she got this award officially. Congratulations Sarah!